CHAD, LET’S BEGIN WITH YOUR INITIAL INTEREST IN DIRT BIKES. I had an uncle who rode bikes a lot, and then obviously my cousin, Craig Anderson, who is five years older than I. I had a big cousin who had a bike, and I wanted one too. My dad had a horse, and later I had got one too. I do not really recall too much of how the discussion went, but my memory is definitely the horse truck coming and taking the horse away and then getting the mini-bike. HOW DID YOU GET SO GOOD SO QUICKLY? I was always really lucky that I had my cousin Craig Anderson. He was winning all the Australian Championships. He was the number one guy and, as a kid, I always looked up to him. I always chased him, always wanted to beat him and always wanted to be like him. When you are around somebody, you can see the mistakes they make or the experiences that they experience. I was very much in that circle. He was my older cousin but was literally like my brother. I felt like I lived a lot of those moments with him. As a kid and even nowadays, I am a big sponge. People may not know it, but I take notice of anything, and I listen to everything. THEN YOU VERY QUICKLY MOVED TO RACING THE WORLD MOTOCROSS GRAND PRIX SERIES—AND IN THE 250 CLASS! I had zero desire to race in Europe, I wanted to go to America. I was lucky to come to America at the end of 1998 for a tryout, but unfortunately Roger DeCoster, who was the manager at Team Suzuki, did not want to take a chance on me. I was Australian, and fellow Australian Steve Butler was the team manager at Team Yamaha. I tried to pull the Australian card with him, but, in America, the best of the best were always going to be born and bred in America. The only riders that could come out of somewhere else were French riders, and I was not French. Every Australian prior to me did not succeed. Jeff Leisk went to America, and I believe he got a podium. The prior Australians did not really set the world on fire and did not show the desire to stay in America. I guess no one believed in us. BUT, THE EUROPEAN TEAMS SAW SOMETHING IN YOU. YOU SIGNED A KAWASAKI GP DEAL. Andrew McFarlane turned down that ride, and that is pretty much how I got it. Andrew took the Yamaha ride, as opposed to Kawasaki, and then Michael Byrne got a ride to go to the U.S. with Jeff Emig’s new team. People basically took me as the last hope. Luckily, I took the opportunity and ran with it. YOU SKIPPED THE 125 CLASS, AND FINISHED SECOND IN THE 250 WORLD CHAMPIONSHIPS. I never raced 125s as a Pro; I went straight to the 250. I always had this burning desire to do whatever was necessary to be successful. I never bought into the tradition of our sport, where you go to the 125 class, win some races, win a title, then move to the big bikes where the majority of these 125 stars massively fail. I did not want that to happen to me. HOW WAS LIFE ON THE GP CIRCUIT FOR A YOUNG 18-YEAR-OLD AUSSIE? I never wanted to be a GP guy. But truthfully, Europe was one of the best, most fun years of my life. My favorite memories are from Europe—far more good memories than I got in the USA. 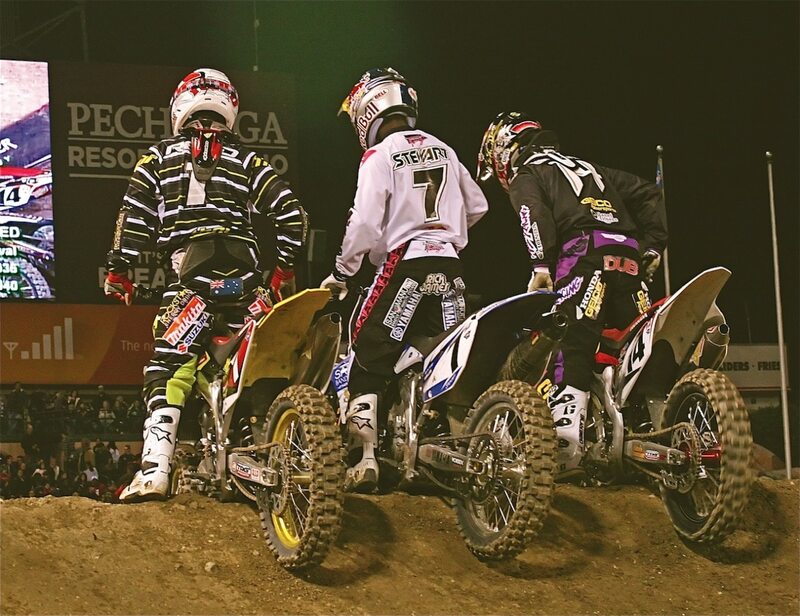 Since I always wanted to race Supercross, the GP riders were not intimidating to me. I looked at them as being normal guys. YOU MUST HAVE HAD OFFERS TO STAY IN EUROPE. I did, but I had no desire to be in Europe longer than one year. I could have stayed and cashed in, but I was in awe of going to America. Bobby Moore, who was working for Yamaha of Troy, offered me a contract, and it was more money than I was getting at Kawasaki, but the downside was that I had to go to the 125 class, which I absolutely hated. WHAT MADE YOU CHANGE YOUR MIND AND ACCEPT A 125 DEAL AT YAMAHA OF TROY? Kawasaki GP team manager Jan DeGroot said he wanted me to drop down to the 125 class the next year in Europe—so Kawasaki could win the 125 World Championship. That was the moment it went wrong between Kawasaki and me. I loved the team and I loved Jan, but as soon as he presented the 125 thing, he lost me. The only real reason I took the Yamaha of Troy ride was because it was on a YZ250F four-stroke—not a YZ125. Yamaha of Troy wanted me to do a two-year, but I said, “No. I only want to do one.” I didn’t want to get stuck in the 125 class. 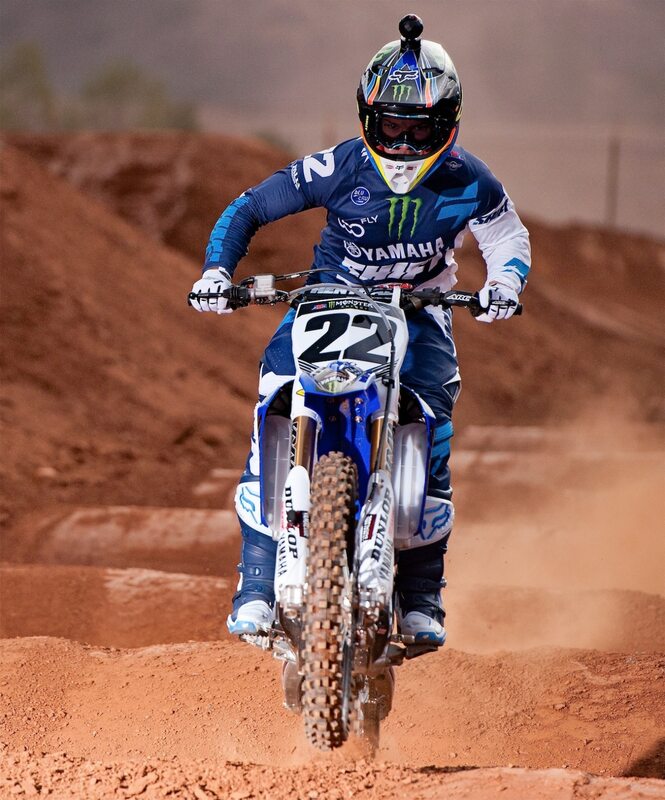 I won six straight 125 East Supercross races, and I signed a two-year Factory Yamaha deal. WHY DO SO MANY RIDERS STAY ON THE SMALL BIKES SO LONG. It drives me nuts. I don’t see many riders who want to take on the big boys. The cool new thing to do is to sign amateur kids to five-year contracts. Some people love that, but I personally hate it. I had a burning desire to race the best in the world. That was what motivated me. 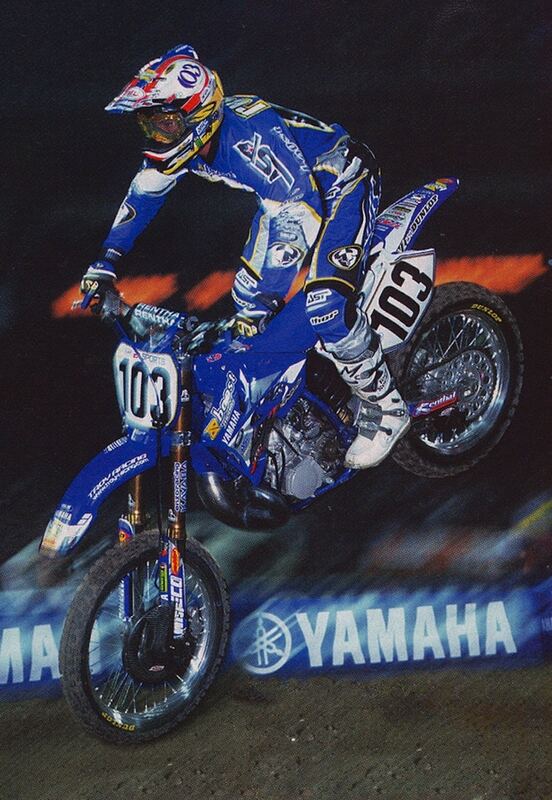 YOUR FIRST YEAR AGAINST THE BIG BOYS, YOU ALMOST WON THE 2003 SUPERCROSS TITLE ON A YZ250 TWO-STROKE. That year still bugs me. There was one weekend at Minneapolis where I was so much faster than those guys. I passed Ricky Carmichael and Ezra Lusk and was literally riding away from them. But, I was actually too fast, and I did not respect the track. I lost the front end, crashed, got back up, and was going faster than I was before. I crashed again and ended up sixth. It was just two sixth place finishes that cost me a championship in my rookie year. I won more races than Ricky. I was on the podium almost every weekend. For a rookie, that was a pretty impressive start. AMERICAN FANS GET UPSET WHEN FOREIGN RIDERS WIN IN THE U.S. DID YOU EVER EXPERIENCE THAT? No. I came in at the perfect time. My style replicated Jeremy’s, who I loved and always spoke highly of. I was not the old-time great going up against Ricky Carmichael, who was the villain at the time (laugh). I came in right when Ricky was at his peak, winning a lot and knocking The King off his throne. 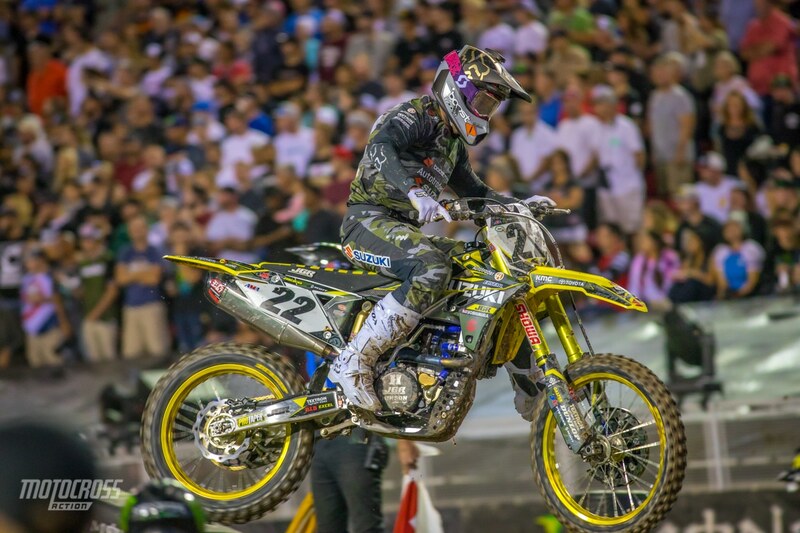 The year before, Ricky had that coming together with Travis Pastrana, and the crowds began booing him because of it. It played to my favor and the fans loved me. 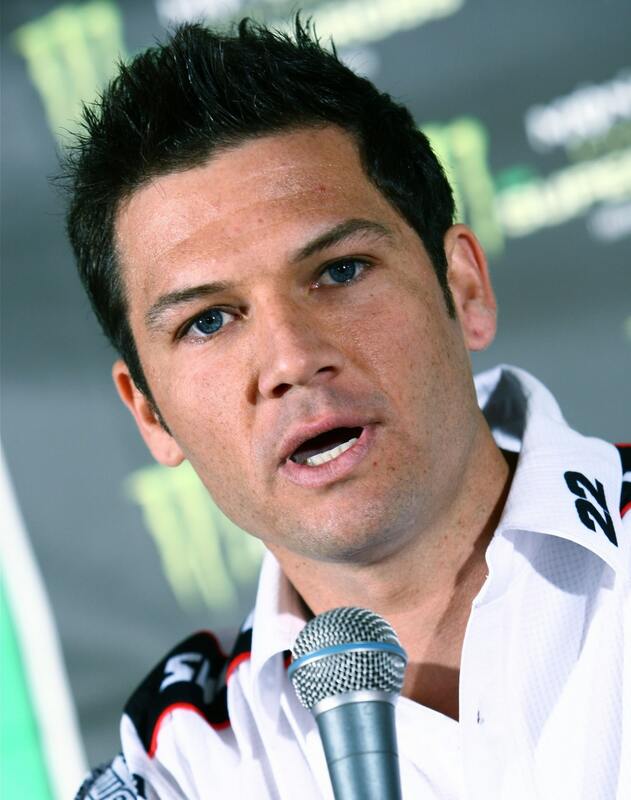 IN 2004 YOU WON YOUR FIRST AMA SUPERCROSS CHAMPIONSHIP. 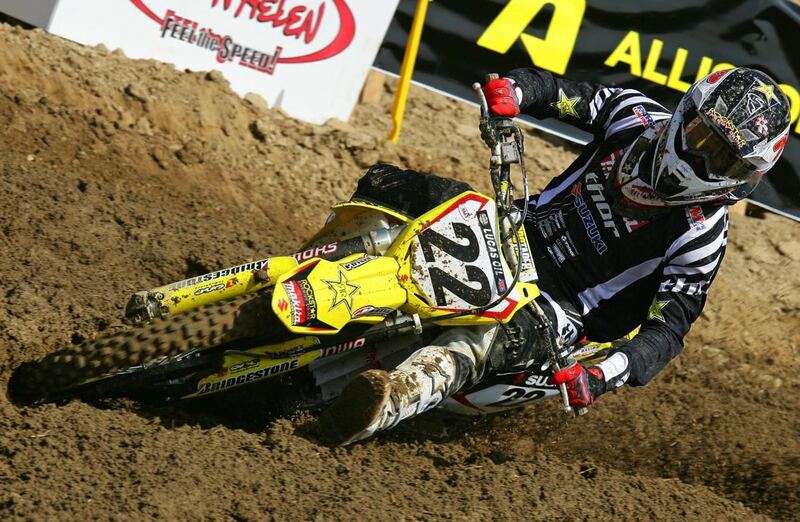 I had won the last six races of the 2003 Supercross series, so I came into 2004 with a full head of steam. I had last-minute shoulder surgery right around the time when Ricky blew out his knee. I did not think I was going to make it back for Supercross. I was lucky to heal up in five weeks and win Anaheim 1. I won 10 races, and I think I was on the podium at every race. But, in the back of my mind, I was racing Ricky. I was trying to prepare for his return. It was a shame, I felt I had the tools to take on Ricky for the 2004 Championship. MORE AUSTRALIANS CAME TO THE USA AFTER THAT WIN! Yes, my cousin Craig Anderson came in 2003. He pretty much took my place at Yamaha of Troy. Andrew McFarlane came in 2005 or 2006. Dan Reardon came over next, but none of them had that burning desire to be the best. Racing a dirt bike is really simple. It does not matter if you are French, Australian, German or a New Zealander; racing a dirt bike is racing a dirt bike. It is the mental side that matters, not where you are from. Ricky Carmichael, Kevin Windham, Jeremy McGrath and Ezra Lusk were people you put on a pedestal and wanted to be like. YOU WERE GREAT IN SUPERCROSS, BUT THE OUTDOORS SEEMED TO ELUDE YOU, RIGHT? I could never find that feeling in American motocross that I needed. You need to find all-out speed for 35 minutes, two times in a row. I have always struggled with that, but the real reason, plain and simple, is that I raced the baddest dudes that ever rode a motorcycle. I raced against the best guys ever. No one is going to ever beat the motocross credentials of Ricky Carmichael. He had two undefeated seasons, and he never lost an outdoor championship for 10 years. If you take Ricky out of the equation, I could have had three or four AMA Motocross Championships. Ricky Carmichael single-handedly made me hate motocross. I was there. I gave him a run for his money. I kept him honest. But, I was like everybody else and fell short. TALK ABOUT YOUR FIRST SPLIT WITH TEAM YAMAHA. I loved Yamaha and still do today. All my Supercross titles were won on Yamahas. My history is at Yamaha, but there was one individual there that I could do without. My first ending was definitely due to things that I felt that I needed. I had been there a long time, and there was a creative side of me that needed exploring. For many years, I felt like I had the same issue, and the same problem, and it felt like hitting your head against the wall by having the same arguments over and over. But I never went, “Wow, I hate Yamaha and want to leave.” It was more like wanting to distance myself. YOU LEFT TEAM YAMAHA, BUT YOU STAYED ON A YAMAHA AT L&M. When Larry Brooks came to me and said he wanted to create a Supercross-only team, I wanted to do it. Long story short, I got to stay within the Yamaha brand, but I would be separate from the factory team in a way that I felt like I could get my freedom back. Yes, I was still controlled by Yamaha. I still had to wear blue and white 50 percent of the time. My motorcycle was still 100 percent a factory Yamaha. My biggest issue was that I felt that Yamaha was not progressing fast enough in the four-stroke world. We were very stale; the people within the organization were not fixing a lot of the issues that I was having problems with. Larry promised me a lot of things. One was that mechanic Oscar Wirdeman, who I first worked with in Europe, would join me. At the end of the day, the goal was to stay a Yamaha person but then get a lot of the other benefits that I felt that we were falling short of at Factory Yamaha. Unfortunately, Larry ran into the same problems that I had three or four years previously, in the fact that they controlled the bike. They said what could go on it and what could not go on it. We were really, really restricted, and I think that even Larry fell short of his goal to fix the bike’s problem of bogging and hesitating. It was not only frustrating and annoying, but it was really dangerous. It was something that I was fearful of. WHAT WAS THE LAST STRAW AT YAMAHA? Two years into my L&M relationship, the bike had not progressed. In Detroit, I went over the bars, hurt myself, broke my scapula, was coughing up blood, and almost lost the championship. At that point, my desire to stay with Yamaha was at the lowest point. Larry broke every rule that there was to break to try to fix it. I saw the effort that Larry put into it, but I questioned Yamaha’s ability to fix it. WHAT FACTORS MADE YOU SWITCH TO SUZUKI? I wanted to ride a Suzuki because they were fuel injected. I had heard that the RM-Z450s did not hesitate. It was not even that it was a Suzuki, it was that it was a fuel-injected bike, and it was the only one at the time. I also had a burning desire to work with Roger DeCoster. WAS THE SUZUKI ALL THAT YOU DREAMED IT WOULD BE? Suzuki was an amazing team. I loved working with Mike Gosselaar, loved working with Ian Harrison and loved working with Roger. My Suzuki was a factory bike, and it was awesome. I had the ability to change, tweak, and make the bike feel any way I wanted it. I had not witnessed that during my time at Yamaha. When I went to Suzuki, I understood why Ricky could do a lot of the things that I couldn’t do. As far as engine and chassis, Ricky and I were identical. Everything he liked, I liked. However, on the suspension, we were on completely different planets. That’s understandable, because he is like 5-foot-5 and I am 5-foot-9, so we were not on the same page for suspension. In the end, I had Suzuki and Parts Unlimited take out an insurance policy on my championship bonus that would get me a lot of money if I won. I gambled and won in more ways than not. BUT YOU LEFT SUZUKI AND MOVED TO KAWASAKI THE NEXT YEAR. That was basically due to dollars and cents. Roger wanted to keep me, but the recession hit Suzuki harder than the other brands. Rockstar and Suzuki were butting heads, and I was in the middle of all this stuff. My 2009 deal had been well over 2 million dollars, and they wanted to pay me half of that in 2010. It was a no-brainer to go to Kawasaki. 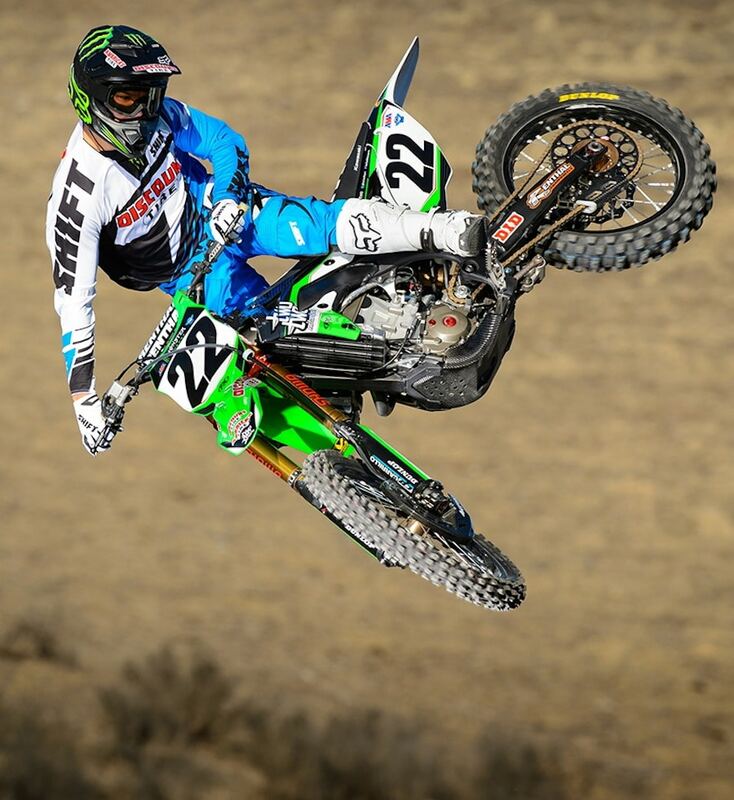 And I thought Kawasaki must be good because James Stewart and Ryan Villopoto did well there. I should be able to win races at Kawasaki. WHAT WAS IT LIKE BEING TEAMED UP WITH VILLOPOTO? TWO ALPHA DOGS ON THE SAME TEAM. I never felt like that with Ryan. I never had an issue, a moment, a run-in or an ego thing with him. I thought he was a funny kid. I actually liked Ryan as a teammate. The only thing that was not fun was that Ryan “was” Kawasaki. At Kawasaki, Ryan could do no wrong. Ryan could just jump on the bike and go fast. It could be the most horrendous bike, but somehow he would just ride it and be okay with it. I came in with an opinion that the bike needed a lot of work, and Ryan’s comments were not necessarily matching up with mine. Whether the bike was amazing or terrible, until Ryan Villopoto said it was good, or horrible, no one really listened. THE FACTORY KAWASAKI DEAL DIDN’T WORK OUT FOR YOU, DID IT? That was probably the toughest year that I ever had. Right from the git-go, I didn’t feel well. I DNF’d at Anaheim 1, went to Phoenix, collided with James Stewart and broke my hand. I missed a good half of Supercross. Building a team, last minute, and getting everything to come together was hard, but we fell four points short of the Supercross Championship and gained the respect of the industry—so much so that we got support from Factory Honda for the next season. That Factory Honda was unbelievable. I absolutely loved everything about that bike. WHAT WAS IT LIKE GOING BACK TO YAMAHA IN 2016? All the same people were there, and nothing had changed. The first year was like a honeymoon. I was the only rider, and there were fewer rules. There was still a corporate feeling though. When Cooper Webb came along, there were a lot of changes. I really did think that in year one there was so much data collected that we were in a really good place for the next year. DID YOU THINK ABOUT QUITTING TEAM YAMAHA BEFORE THE 2017 SEASON STARTED? I felt like months were just wasted. Right then at that point I should have said, “I don’t think I should race the series this year because you have already lost me.” I did not believe in the team. It was the same old nightmare. They disrespected somebody who was willing to make a difference for a brand that he loved, and believe me, my intention was to bring Yamaha back to the heyday of Yamaha versus Honda. HOW BAD WAS THE BIKE? The bike was not good enough for the level that they were expecting Cooper Webb and I to ride it at. Look at Cooper Webb’s results. That is not Cooper Webb. There is a core problem within the Yamaha organization that needs to change. 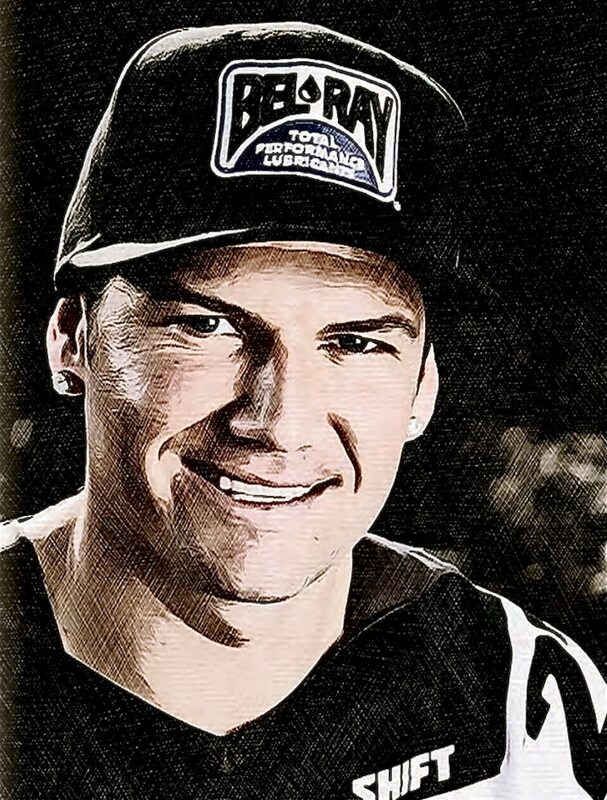 They had an older rider, who was at the end of his career, who was ready and wiling to help Cooper Webb in any way possible. But, they told Cooper that he was not allowed to communicate with me. They cut me out. You look at the investment they have made in Cooper Webb and at their return investment. SO, THE YAMAHA FAIRYTALE ENDED POORLY? Yes, and that hurt my feelings the most. My feeling was, “I love racing. Let me race as long as I want to race, but let me be the Yamaha brand ambassador. Let me help the team.” I think that I intimidated the boss when I brought up areas where Yamaha had weaknesses. He did not like that. WHAT DO YOU THINK ABOUT A BRAND AMBASSADORSHIP? First, I need a team to take me on as a third rider—one that will see the benefits of my experience. I would love to be a brand ambassador. I love to travel. I want to race some races in Asia. I want to go to Australia; I want to go to Europe. I want to do these things. There are very few people in our industry that actually want to get on a plane and go and do things. I enjoy that. My hope is to find a good fit for me. Is it KTM? Is it Husqvarna? Is it Honda? Look at what Yamaha is doing with Ryan Villopoto, and if Ryan Villopoto can be an ambassador for Yamaha, then anybody could be an ambassador for anybody, because you are taking a guy who literally bleeds green and making him a Yamaha ambassador. That is really weird to see when there are many great Yamaha racers to choose from that would make more sense..
DID YOU THINK YOUR RACING DAYS WERE OVER WHEN YOU LEFT YAMAHA. YOU DIDN’T SET THE WORLD ON FIRE ON THE HUSQVARNA. 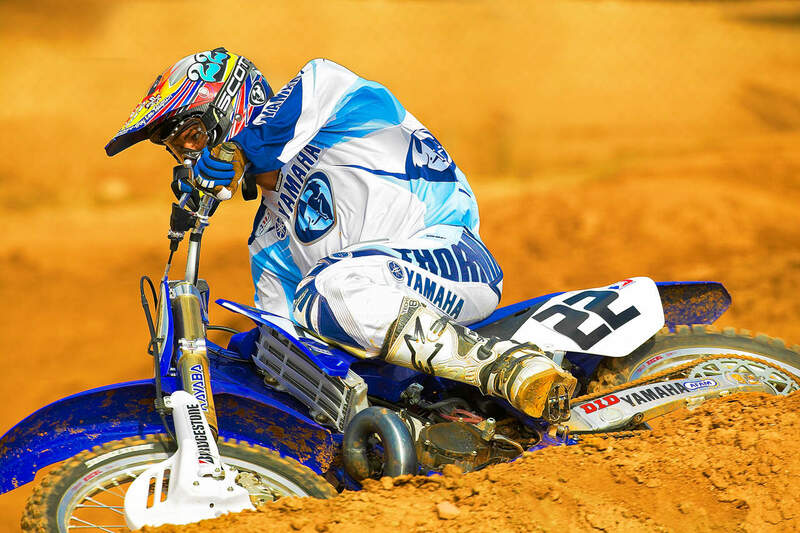 I never felt like I got my fullest potential out of myself either at Yamaha or with Husqvarna. Remember, I broke my ankle before the 2018 season started, so 2018 is what it is. When I look at the 2018 results, it does not make me feel good. But then, when you look at the facts of what I did and what I achieved, it makes me really proud of 2018. I really believe that I can still podium. I strongly believe that. I am 36, and I have raced more races than anybody in the history of the sport, and nobody has done what I am doing, so I feel like history speaks for itself. 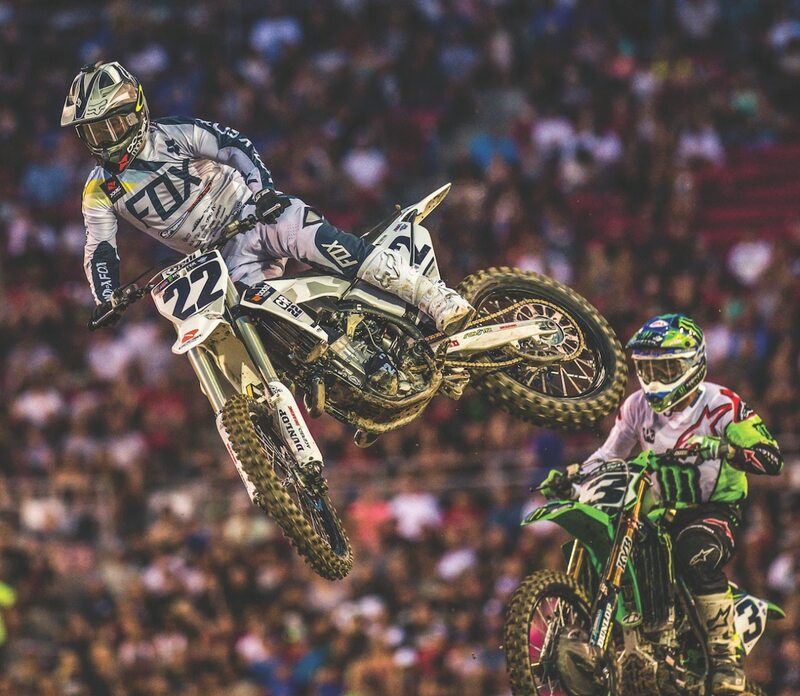 COULD YOU HAVE CONTINUED RACING LIKE YOU DID IN THE 2018 SUPERCROSS SERIES? I really want to be on a good bike. I really want to be on a solid team and, at this point in my career, it needs to make sense. I want to be a podium guy, and I expect to be that guy. I can give a team a crowd, good results and a long autograph line. I feel like I have a lot to bring to the table. 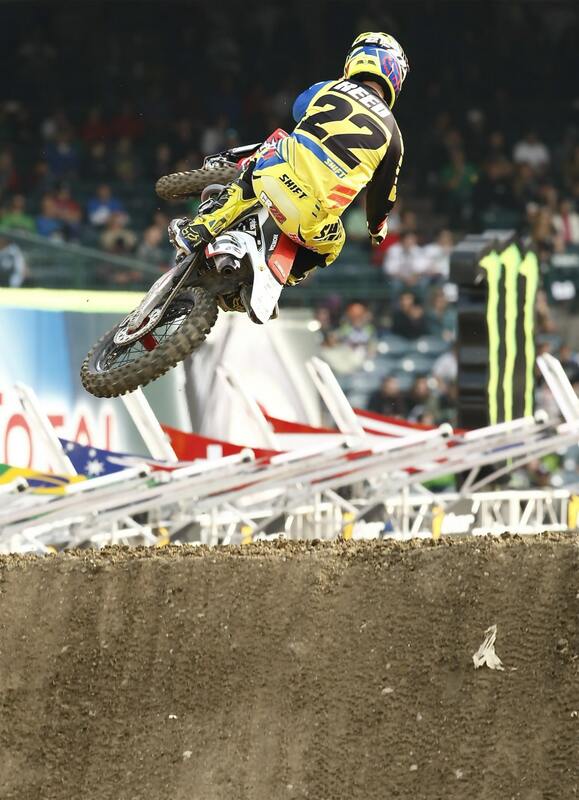 This is Chad on the JGR Suzuki RM-Z450 at the Monster Cup. With Weston Peick injured, Chad has a good chance of being a JGR regular in 2019. ARE YOU GOING TO RACE THIS YEAR? The plan is to race.